Resonance Healing is a healing system, which integrates the Earth's resonance, a vibrational energy, with the light of consciousness. Through the integration within the body of the feminine (resonance) and masculine (light) energy systems, it makes it possible for us to remain grounded, living and evolving within a unified field of consciousness that brings us home to ourselves and to each other. Instead of thinking we are living, we feel that we are alive. Every being and object has a natural resonant frequency. Some resonate more than others do. If something close by vibrates at the same frequency as the being or object's resonant frequency, and it is coupled to it, then the being or object will vibrate in sympathy, at the same frequency. It is this coupling that is the basis of Resonance Healing. Resonance Healing is a simple and safe system that requires no special equipment, no attachment to any religious or spiritual group, can be easily learnt and incorporated into daily life. By consciously connecting with the Earth's energy field, the natural energy of our home, and integrating with the light, we create a Unified Field where healing can take place. 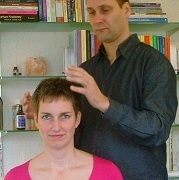 In our workshops, we teach participants the techniques of running the resonance energy with intentionality. Energy follows intentionality. With practise, the energy runs more and more easily until it becomes just like breathing. Many people say after their first experience that they feel they have come home, or they've found the missing puzzle piece, they feel safe or that they feel grounded and in their body for the first time. Prendi un sessioni di trattamento a distanza (tramite foto). Riceverai da noi un messaggio e-mail per ogni trattamento, direttamente quando il trattamento a distanza ha avuto luogo. Se avete interesse, si prega di inviare una foto (tutto il corpo) per info@selfhealing.nl . Non deve essere una foto recente o bello.